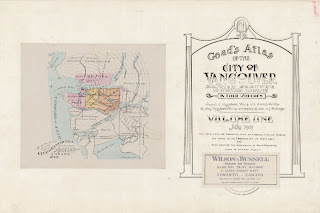 Library and Archives Canada have recently added a copy of a century-old property atlas (used by the fire insurance industry) to its website — the perfect time-waster for a rainy day. Grandview is in Volume 2. 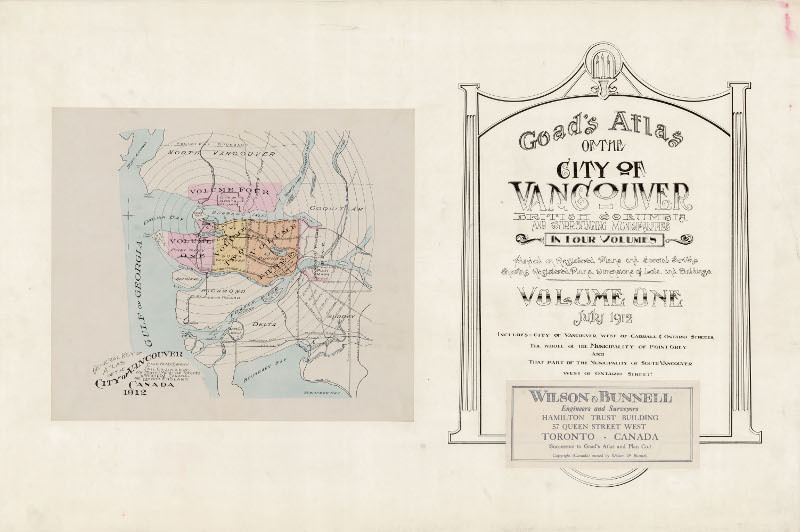 Click on the link above and search on the archives site or use Google to search Goad’s + Vancouver + volume 2 and you should get it. 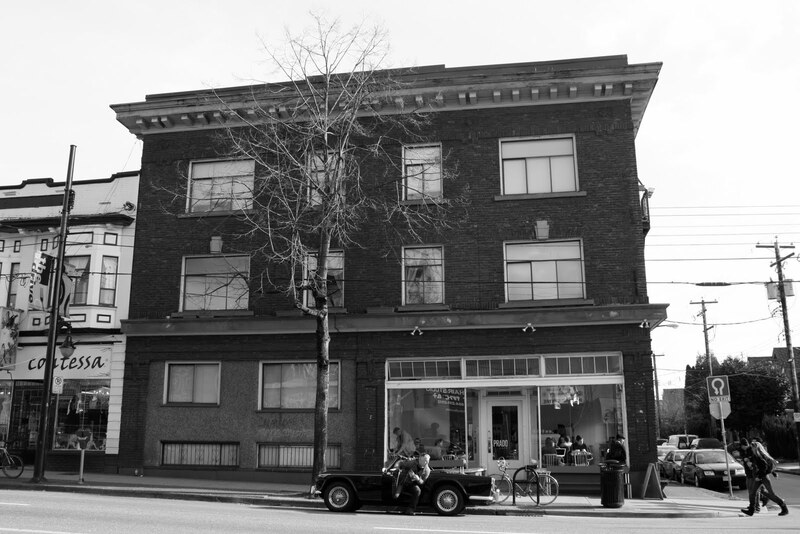 I was interested to see that, in my neighbourhood, there was an isolation hospital on the block just north of Templeton Park (block 9). There’s no evidence of it left at all (although I will check more closely). Templeton School ended up being built in the 1920s on Block 8, which was subdivided into lots but never sold, it seems. You can see on the map a couple of early street names: Harris became East Georgia, and Union became Adanac on the section between Vernon Drive and Boundary Road, apparently because property owners in East Vancouver complained that Union Street near Main was notorious for its brothels and bootleggers. Adanac, now the east-west bike route, is ‘Canada’ spelled backwards. 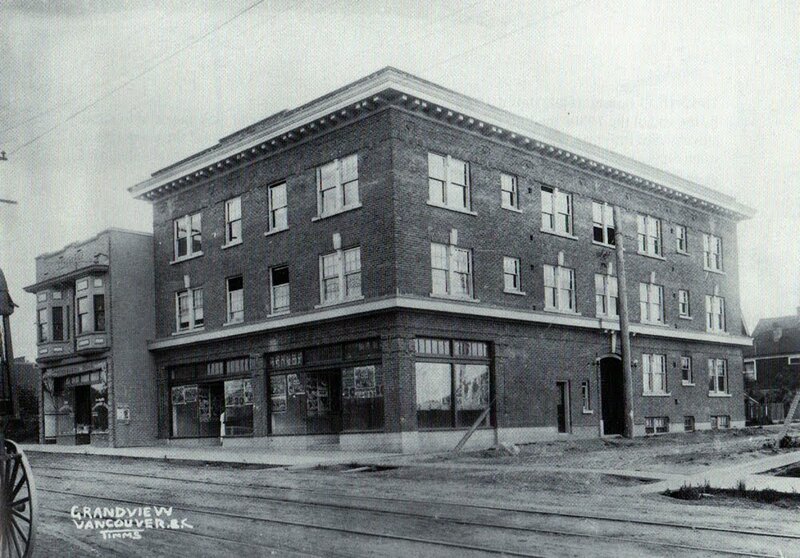 On February 12th, 1912, Thomas Shiels opened the Grandview Theatre movie house at 1712 Commercial. It is the white-arched building in the middle of this image. Understanding the audience’s desire for novelty, the Grandview Theatre changed its program every Monday, Wednesday and Friday. 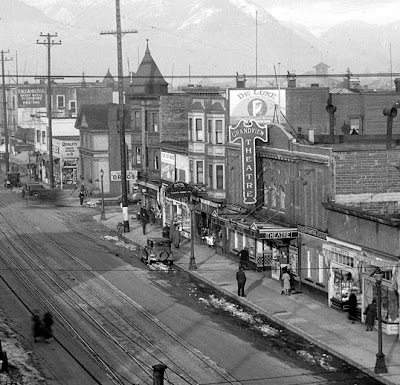 At the end of 1922, Shiels built himself a larger theatre a few doors up the block at 1730 Commercial. The old theatre was closed in November. 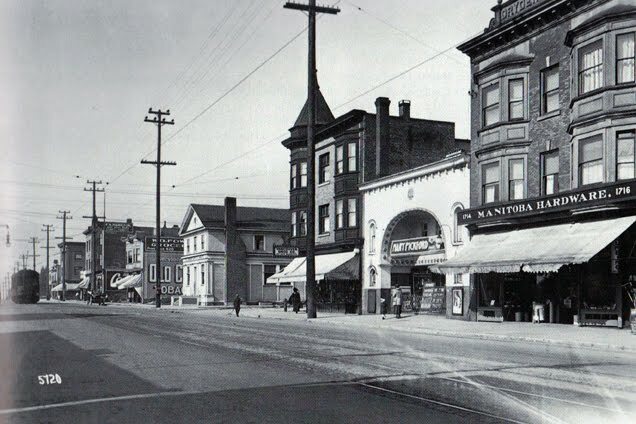 Shiels sold out to Famous Players in 1927 and the new Grandview Theatre became a central feature of Commercial throughout the 1920s, ’30s, ’40s and into the 1950s. Not only did they show all the latest movies, but they made themselves available for fashion shows, relief concerts during the war, and even mass political meetings. When the rival Rio Theatre opened at Broadway & Commercial in 1938, Famous Players spent $25,000 on renovations to the Grandview, including new floors, new seating, two new projectors and a brand new foyer. 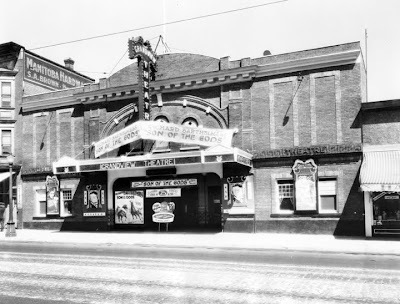 The front of the theatre was redone once again, this time in red and black, in early 1940. Tommy Thompson, a wounded vet from WW1, was manager of the Grandview from 1943. 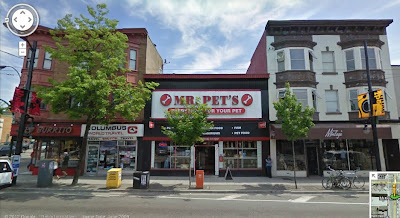 A popular figure in the neighbourhood, he became a key figure in the formation of the Canadian Legion Branch on Commercial after the end of WW2. Like many cinemas, the Grandview Theatre was threatened by the introduction of regular TV service in the early 1950s. They put in a brand new “VistaVision” screen in December 1954 in an effort to compete, but it was too little too late. The Grandview Theatre was closed at the end of 1957 and the building was immediately demolished. 1712 Commercial, the Grandview Theatre’s first home has survived to this day. For most of the last century it was part of Manitoba Hardware. Today it is a pet store.